In South Dakota, Sioux tribes have turned to the online community to raise money to buy at least part of 2,000 acres of Black Hills land they say is part of their creation story. In the pristine Black Hills of South Dakota, the Great Sioux Nation is in a race against the clock to raise money to buy nearly 2,000 acres of ancestral land called Pe’ Sla. Since 1876, the Battle of Little Big Horn, the land has belonged to the Reynolds, a ranching family that has owned land where the Lakota perform healing ceremonies. But the Reynolds have put the land on the auction block, dividing the 1,940 acres into five tracts to be sold to the highest bidders. The Sioux tribes – known as Lakota, Dakota and Nakota – have turned to the online community, soliciting money to buy the land. Their aim: $1 million. But so far, with 57 hours left, they have raised $156,000, one tenth of their goal. “Once they released the flyer advertising the auction, that’s when reality hit,” Chase Iron Eyes, a member of the Standing Rock and Oglala tribes. The Reynolds Prairie Ranches include most of Pe' Sla, Iron Eyes said. Brock Auction Co., based in Iowa, is managing the sale of the Reynolds Prairie Ranches, currently owned by Leonard and Margaret Reynolds. 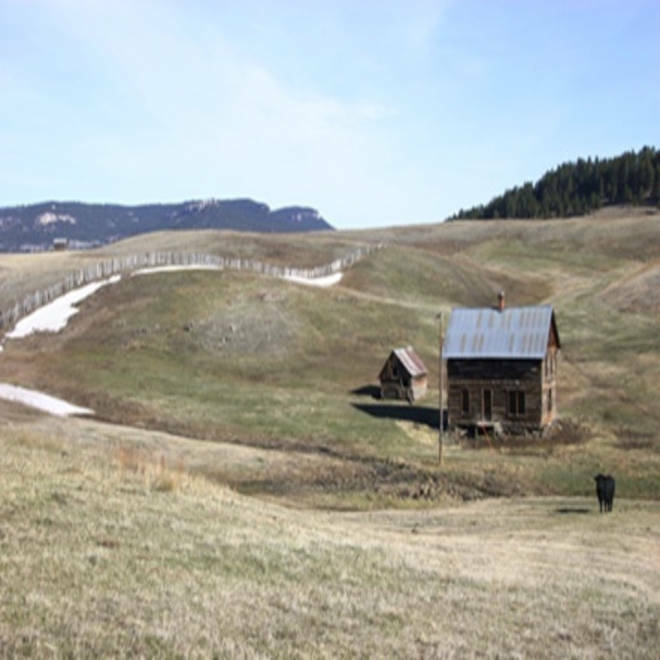 The images of the property show remote, unending grasslands where cowboys and deer roam. Bruce Brock, the auctioneer, refused to say how much he expects from the sale and said he would not comment on the issue. Pennington County has assessed the Reynolds’ property at $341,800, according to documents available online, although Iron Eyes said he has heard second-hand that the auction house expects between $4 million and $10 million. Iron Eyes said the Black Hills have become a tourist destination – in part because of Sturgis, the biker rally that draws thousands to the area. Further, the state has expressed interest in paving a gravel road that goes through most of Pe’ Sla. Pe’ Sla is at the heart of the Lakota creation story and is where tribe members believe all life begins. Generations of Reynolds have allowed the Lakota to hold ceremonies on the land, considered one of five sacred pilgrimage sites linked with the arrangement of the stars. According to the Associated Press, the story goes that the Morning Star fell to earth at Pe’ Sla, killing seven women whose souls were placed in the sky, forming “The Seven Sisters,” or the Pleiades constellation. Around the time that the Reynolds homesteaded in 1876, gold was found in western South Dakota, and Congress promptly passed a law seizing the land. In 1980, the federal Indian Claims Commission awarded the Sioux tribes $102 million for the loss of the Black Hills, but they have refused to take the money. The money, sitting in a U.S. Treasury account, is now worth about $1 billion, according to the Atlantic magazine, but remains untouched. As for what will happen at the auction, scheduled for 10 a.m. on Saturday at the Ramkota Inn, Iron Eyes doesn’t know. For now, the tribes are focused on their deadline.